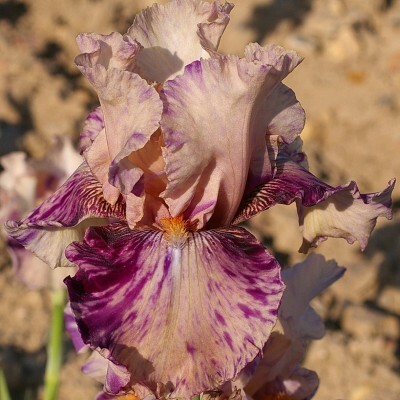 Bred from "Special Feature", it has inherited its spur-like beards, these ones being pale lavender, the rest of the flower being ice-white. 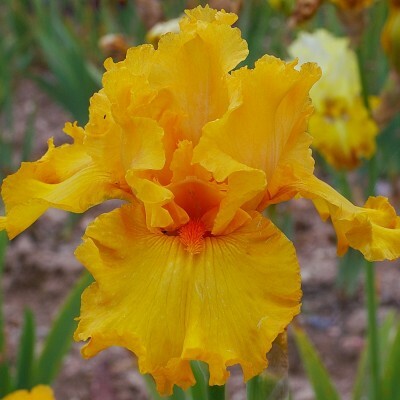 Very strong, well-bodied flowers, with nearly horizontal falls. 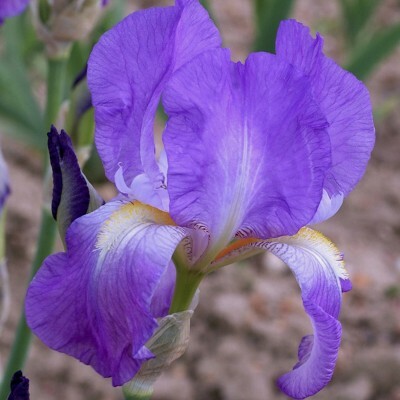 A classic beauty, useful in the garden for its striking looks and late flowering. 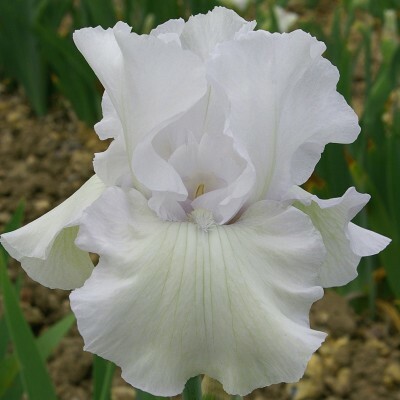 Imposing large pure white flower with good proportions, rolling ruffles and good 'body'. The sturdy stems carry 12 to 16 buds, and soon multiply into good clumps. A champion among the whites!